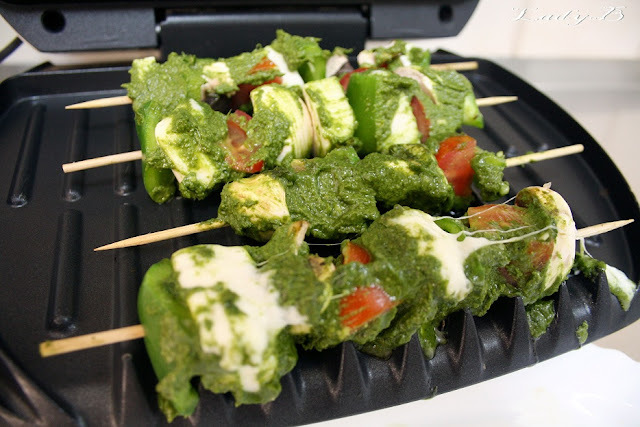 I've been craving Halloumi cheese skewers for quite a while now, since it's super easy to prepare and takes hardly no effort to make . 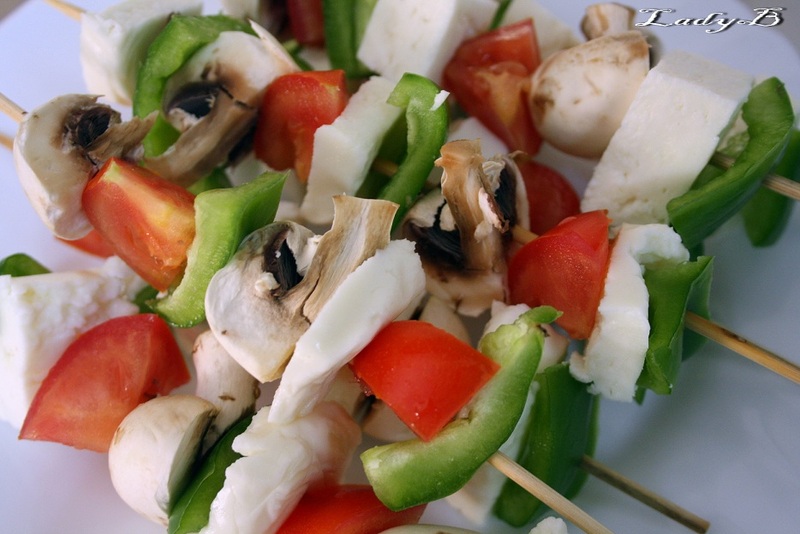 I assembled a selection of veggies that I thought would go nice with the cheese; tomato, bell pepper, & mushrooms..
Just make sure to soak the skewers a bit beforehand.. The cheese I used was already sliced so chopping them into cubes wasn't hard, and I noticed that Low-fat cheese melts faster than full fat one so within 2 minutes the cheese was oozing all over the place ! 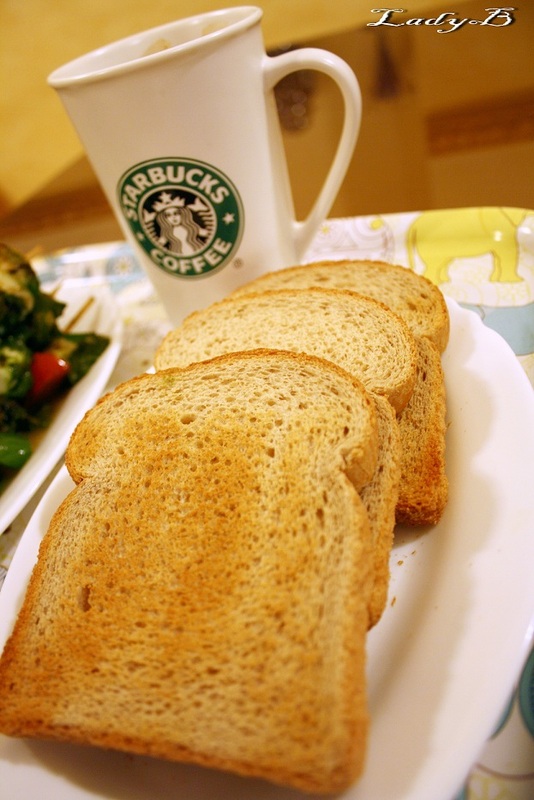 Any other breakfast dishes you like?